Aldi is aiming to strengthen its leadership for organic products with the expansion of its assortment. 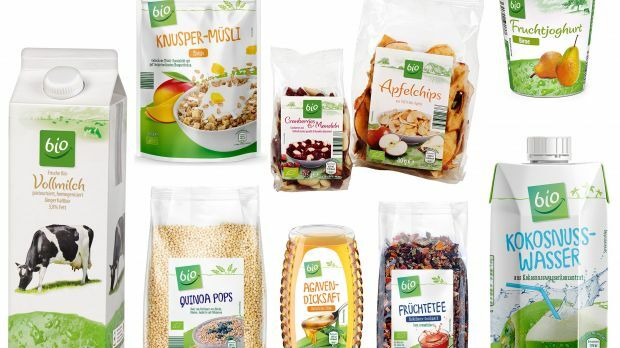 German discounter Aldi is expanding its assortment of organic private label products. Throughout 2018, the Nord and Süd divisions will add more than 60 new organic items to their assortment to strengthen Aldi’s leadership for organic products. Aldi Süd will expand its organic assortment by one third while the Nord division is adding 20% to its range. The new products will be distributed across different categories and be added to the discounter’s special offers. Aldi’s latest move follows a recent, very similar approach in the meat category, where Nord and Süd launched an own brand line focusing on animal welfare. Additionally, Aldi will use fair-trade cocoa for its products further on. These initiatives will certainly help to boost a positive brand image for the discounter. Interestingly, all these announcements indicate that Nord and Süd are increasingly to act in tandem. This will help to leverage more synergies in times when supermarketisation is having a negative impact on overall efficiency. The expanded organic line will most likely increase the discounter’s market share in organic products, which will add even more pressure for the organic specialists in Germany. These have had the opportunity to operate unthreatened in their niches for several years, but times have changed and the organic trend has now become mainstream. And it is not only the discounters and other German grocers that are increasingly becoming experts in this field. Drugstore operators such as dm and Rossmann have also established their own affordable organic private label lines. dm, for instance, delisted German brand Alnatura and replaced it with its own dmBio range. LZ Retailytics recently observed that the drugstore market leader reduced the price of organic private label oat milk to the lowest price point in history in the German market (EUR1.15 per litre). All of this indicates that competition has increased in terms of available access points – and more importantly, product prices have come under pressure. Back in the days when specialists like Dennree and Alnatura had the advantage of operating alone in a niche, they had the opportunity to offer products at relatively high prices. This, however, made them exclusive items reserved for a very particular target group: people with high incomes and/or those that are so environmentally friendly that they have been willing to pay higher prices. The increasing competition and the on average 10-15% lower prices at non-specialists somehow democratised the segment enabling more customers to afford organic products. To compete with the new players, the specialists will sooner or later have no choice but to lower prices as this trend continues.